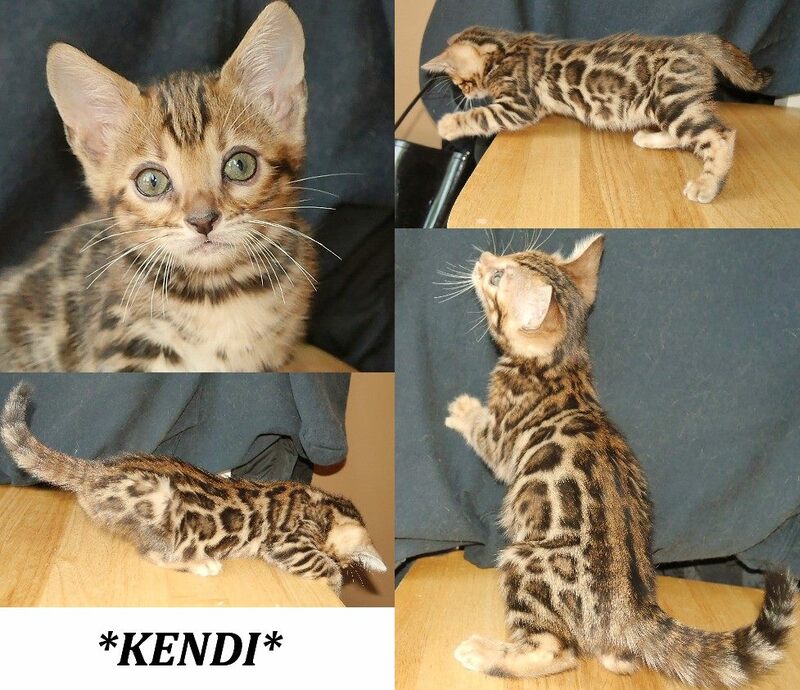 Kendi is now 8 weeks old and looking for her forever home! She is going to have the same coloring as her mom, Latvia. 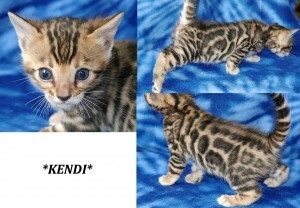 She is a very large rosetted Bengal with tons of glitter and great contrast. 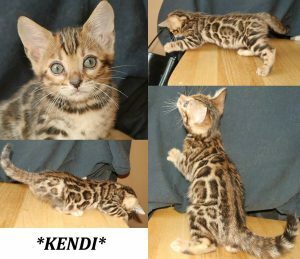 She has a super loving personality and gets along great with other kitties and dogs alike! 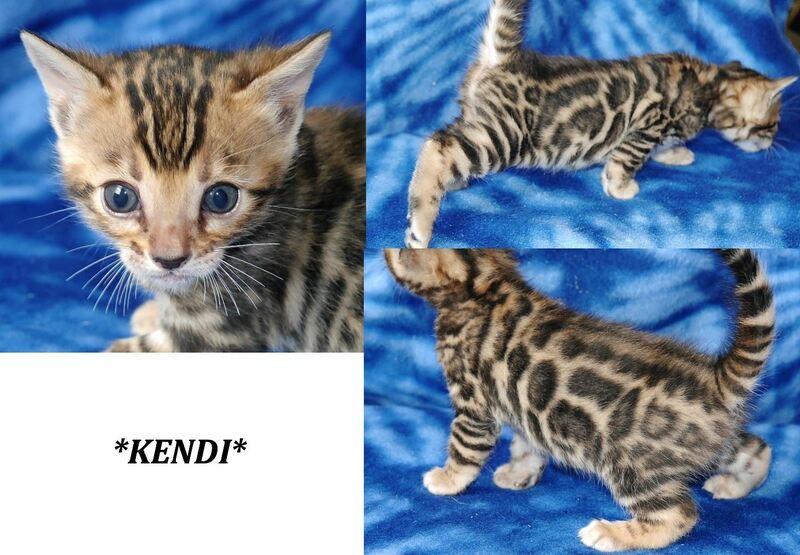 Enjoy this video of her at 6 weeks. 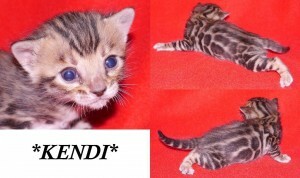 Here, she is pictured at 3 weeks.